There is a great deal of energy in the sky this month for Aries ascendants, but it all has something going a little wrong with it. Your work will be difficult and stressful this month for several reasons: 1) you will have a hard time directing your energy and using your time efficiently due to unforeseen complications, 2) you may struggle with clarity or purpose related to why you work, and 3) there will likely be some communication problems between you and a superior/manager at work. The presence of three retrograde planets in key parts of your chart this month will make it difficult to feel motivated in general, but especially in regards to work and relationships. Patience will begin to run thin as Ketu and a retrograde Mars cause obstructions at work and make you doubt the path you’re on, while a retrograde Saturn and Jupiter will make it more difficult to act with integrity and good conduct. Both the Jupiter and Mars can still give blessings from where they are in the sky, but their backward motion makes it more difficult to extract these blessings without applying more effort on your part. The obstacles indicated can be overcome with exceptional hard work. The beginning of the month has the Sun in Gemini, which is good for learning new skills and developing relationships with co-workers, friends, and employees. The aspect of Saturn especially indicates relationships and skills related to your work, as well as short travels. The first few days of the month have some problematic combinations related to your living situation, especially stress due to contracts, negotiations, and roommates. Venus and Rahu are difficult in this regards, but the solution is to rely on the communication powers of Mercury to overcome any problems caused by Venus and Rahu. This is especially important because Mercury will be transiting right over Rahu in the first few days of the month, so there is a serious possibility of a communication breakdown. On the 4th of July, Venus will enter into Leo, where it can improve financial situations as well as improve relationships between you and employees or students. This is a good month to help others, give charity, and support the community, using the compassion of Venus to help open the heart. For those engaged in sadhana (spiritual discipline), this is a good month for supporting the teacher and/or engaging in more austere spiritual practice than usual, due to the supporting influence of Venus on Saturn. No new developments will happen until the 15th, when the Sun enters Cancer. This is, unfortunately, a stressful transit, and it may obscure some of the peace that Venus in Leo had brought you for the previous 10 days. The aspects of conflicting forces from Rahu, Ketu, and Mars acting on the Sun in Cancer can lead to stress and unhappiness in the living situation, home, or office. The aspect of the Sun on Rahu towards the end of July and beginning of August may also afflict the mother’s health. Wearing silver can help avert some of the negative aspects of Rahu and ward off stress and conflicts, while puja to Ganesh or Hanuman can help with more far-reaching issues such as the mother’s health and mental stability. Even if a strong natal chart helps avert some of these negative factors, you will still be busy and working a lot by the end of the month. On the 11th, Jupiter enters back into a normal forward motion and its aspect on Cancer can substantially help with these obstacles by clinging to the Guru/spirituality and conducting yourself in a noble and self-controlled manner. Saturn is moving backward in the sign of Sagittarius through the lunar mansion of Mula. This placement of Saturn indicates that there is still work that needs to be done on your personal ethics and etiquette, as well as your general worldview and philosophy. The mansion “Mula” represents the ‘root” of these views, that something fundamental in your life philosophy still needs work and refinement. Saturn ultimately wants to mature your energies and raise them to the next stage in your life, so this should be the focus of your reflections in this regards, striving to see how your personal views and principles can develop and mature to better lead you to the next stage of life. It’s still a difficult month, as it is for many other signs, due to the prevalence of so many malefics in important places, but even difficult planets can be put to good uses. To begin with, there is a strong exalted Mars in the chart this month with a good aspect on your ascendant, which can give a lot of energy to get things done and start new projects, and can also initiate a strong spiritual current into your life under the guidance of the spiritual energies of Ketu. However, if you have weak principles or are easily influenced by negative people, these same planets can cause quite a bit of trouble, making you throw your personal convictions out the window due to a few hard months. The stage you have set for the planets through your personal actions and lifestyle has a strong influence on how you react to those same planets. Aside from the possible affects Mars can have on your spiritual path and physical energy (which can be very good), in worldly matters it is troublesome for the health of your father, especially after the 15th when the Sun facilitates a difficult aspect on Mars. Mercury can help this situation with its positive influence by keeping in good communication with your father about his health so that any problems are caught before they become too serious. Mercury also indicates the doctor, and help can come in this form. This month may send you on some important travels, and if the opportunity arises for you to go on a trip, especially a business trip, you should take it, but expect that the trip may have some difficulties. The positive aspect of Mercury can lead to increased finances, which is why such trips can be beneficial, but the aspects of the Sun and Rahu may cause obstacles or even problems with other co-workers. Mercury, Rahu, and the Sun are all in Cancer, a sign that is called “sadhana bhava”, or the third house, and influences your personal skills. Mercury’s transit here indicates that some additional education or developing a new skill will be beneficial for your finances, while Rahu’s presence can be good for overall self-development, fitness, and creativity. By this I mean that even though these same combinations can be troublesome for siblings and co-workers, even quarrelsome in this regards, they can still be beneficial if put to good use through education and self-development, keeping in mind your personal goals and where you want to be in life. The ascendant lord Venus is in Leo this month, which is good for getting a new vehicle, working on your house and dressing up the office. On a more personal level, this is a time for self-reflection and deciding what parts of your life contribute to your happiness and which parts don’t. When considered alongside the Mercury/Sun/Rahu combinations mentioned above, the placement of Venus in Leo is the beginning of a change in your sense of purpose and direction that will continue to build throughout the next year. You need to be bringing your energies inwards for a little while and focusing on reclaiming a sense of power and control over your life. Self-development is the keyword for the next few months while Jupiter moves into Scorpio and Mars is exalted in Capricorn, both powerful transits for personal transformation and changing the course your life is on. Saturn’s retrograde in Sagittarius is difficult for sure, as it can agitate chronic health concerns, especially those related to bone and structural health, or problems with teeth. Such health concerns will clear up next month when the Sun and Mercury enter into Leo and cast a beneficial aspect on Saturn, which will either solve the issue or bring a specialist to you that will help rectify the situation. There is likely some stagnancy with your sense of work and career, especially now that Saturn is moving retrograde, a motion that can actually threaten your job. If you work hard and help the manager/boss (Jupiter), then a rise in your work status may be possible. The main thing yuo want to do is not appear lazy simply because you aren’t feeling mtivated, as this can cause the loss of employment. Work hard and everything will be fine. Next year is very promising for your career, you just need to make it through the rest of this year! The ascendant lord Mercury is in Cancer until the 22nd of July. While there, it will suffer from some difficult aspects on it from the Sun, Rahu, Ketu, and Mars that can influence family and personal health. For family there may be some troubles with your father or with cousins/distant relatives, especially in regards to health. For you personally, this combination can cause digestive complaints and similar concerns, but the aspect of such a strong Mars upon the ascendant lord Mercury should actually give relief of these troubles in the form of medical treatment and help. The aspect of Saturn means these have been long-lasting problems. For those who have good, strong digestions (a rarity for Gemini ascendants in general), the problem may simply arise as family concerns or financial contracts. Jupiter has a good aspect on Gemini throughout the whole month, though better after the 11th than before. This aspect makes your work situation and relationship status more important to you, giving you a blessing in these areas of life. This is also a good aspect for visiting a spiritual teacher or personal guide, even getting the guidance of a professor or just someone you look up to. For those trying to have children, the placement of Jupiter in Libra for the next 3 months certainly supports the endeavor…..so if you’re not trying to have kids then be mindful of this! Jupiter is also an important planet for imagination and ambitions, and Libra is an important sign for creativity and inspiration, so this is a good 3-month window to refine your personal goals and ambitions and figure out how you can achieve them and what you’ll need to be successful, especially in regards to work and relationship aspirations. Saturn is still in Sagittarius, where it can cause a good bit of stress, especially now that it has gone into a retrograde motion. The source of this stress can be due to relationships, though not necessarily in a bad way. Saturn is the planet of maturity and growth, and as it matures our ideas about life and what’s important to us it can sometimes be stressful to adapt and accept the responsibility of this growth. Saturn in Sagittarius can cause far-reaching changes in your relationship life, which is a good thing! But that doesn’t mean these changes won’t come without their own kinds of stress. One of my main concerns about Saturn for you has been its negative influence on your health for the last two years, but this can improve this month due to a nice trine aspect from Venus in Leo, and since Venus is the planet of health and medicine its influence on Saturn means that these health issues could come to an end in the next month due to medical treatment and good medicine. It’s important to talk about the influence of the lunar nodes, called “Rahu” and “Ketu”, and the interesting role they are playing in your chart this year. They are always opposite each other in the sky, and in your chart this opposition occurs in the 2nd and 8th “houses” or signs from your ascendant. These are deeply structural and psychological placements for two planets that cause a deep transformation. Rahu’s placement in the 2nd house challenges some of your core concepts about what you need from life to feel supported and happy, especially your ideas about family. Ketu in the 8th house of Capricorn can cause powerful psychological transformation, especially for those who have needed mental health treatment or medications throughout their life. Ketu reaches deep into the inner levels of the mind when in the 8th house, where it drives to the surface our darker thoughts and the parts of ourselves that we try to keep hidden, and in doing so it allows for positive growth and real healing to be done on this deep level. There is a lot of energy in key parts of your chart this month. The ascendant still has Rahu passing through it, which can facilitate a serious transformation in your body, health, and self-image. But be careful of overdoing it, since Rahu has been in Cancer for some time now and the gradual stress on the body can build up and cause problems. Mercury joins Rahu here, and this can cause some financial headaches and investments, and possibly some traveling as well. The sources of expenditure will be on paperwork, clerical fees, dues, as well as expenditures on the physical body (clothing, health, etc). For those more spiritually inclined this could be a good time to engage in some personal meditation retreat and cultivation. An exalted Mars in Capricorn gives a lot of energy for achieving just about whatever you set your mind to. There will be developments in your relationship over the next few months as Mars adds more energy to this area of your life, and business partnerships may arise that can be of immense benefit. Capricorn is an important sign for how you expend your energy in the world, and with an exalted Mars here you have a LOT of energy to spend. Avoid being totally overwhelming over other people’s lives, but you should still be pretty forceful if need be. Mars didn’t give you all that energy to be thrown off course by others around you. Rather, Mars can give a definite clarity about how to proceed in your life. As lord of the 10th house it gives a strong sense of destiny, and this clarity has to be followed upon with profound action. The retrograde motion of Mars for the next 6 weeks may feel like a temporary setback, but actually, its a blessing in disguise because it gives you even more months with an exalted Mars in Capricorn. Practically speaking, you may feel like your work is being obscured right now and put off, but there are just some other tasks that need to be completed first in order for the full strength of Mars to come back into play in August and begin moving you forward again with your main work. The month begins with the Sun in Gemini, and this can cause some concerns about family, especially the father, and possibly a trip to see the same. 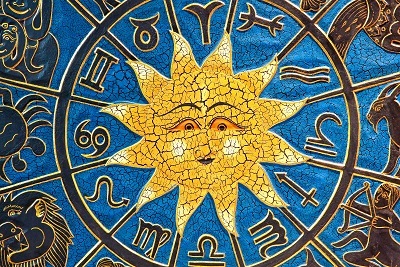 This is also a typical transit indicating expenditures, but the nature of the Sun for you is such that it rules finances and net wealth, so any expenditures will likely be in the form of temporary investments that will pay off in about two months when the Sun enters into Leo. On the 15th, the Sun enters into Cancer where it can help support finances, but it is stressful on the body and may make you feel overwhelmed and stressed out due to all of the heat that will be influencing the body under the powers of Mars, Rahu, and the Sun. You will likely be quite busy, so health an diet need to be well maintained and regulated so as to endure the strain put on the body by such powerful planets. If you stay active, eat well, and take care of your health, then you may be able to successfully channel all this energy into an incredible outpouring of work that can give serious financial results in the following month when the Sun enters Leo. Jupiter has been moving retrograde back through Libra over the last few months, changing living situations as well as maturing some personal principles and goals in life. On the 11th it ends its retrograde motion, and this will be beneficial for finances and health, as well as improving living conditions, especially for those looking for their own place, a new vehicle, or something similar. Venus will be spending the month in Leo, causing new work opportunities and supporting finances. This is a good time to get in touch with family and work on those familial connections and relationships since Venus is the heart and Leo indicates family in your chart. The ascendant lord Sun begins the month in Gemini, where it directs your time and attention towards matters of finances and/or relatives, though it may not lead to much financial improvement simply because Mercury (the lord of Gemini) is weak and afflicted, which itself causes debts and financial troubles. The remedy comes in the form of an accountant or finance manager, instead of trying to do everything yourself. For those who work in finances, this transit can lead to audits and investigating debts. On a personal level, the Sun in Gemini is about the benefit you receive from your work, both on a mundane level (like salary and pay raise) and psychological one (how does your life benefit from your career?). Jupiter’s aspect on the Sun for the first two weeks of the month can lead to bonuses, pay raises, elevation in status, as well as higher education. 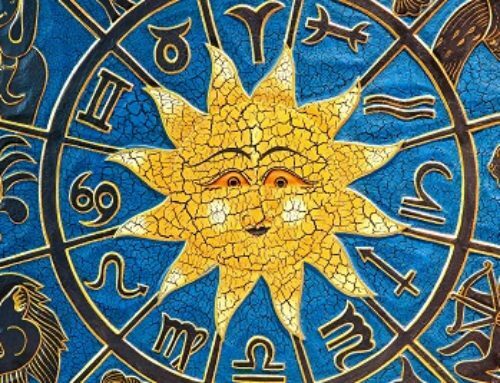 On the 15th the Sun moves into Cancer, which can lead to travel as well as expenditures and debts, especially due to the association of Rahu and Mercury with the Sun at this time, causing fees and penalties. Mercury in Cancer bodes ill for finances, and Rahu likewise can make it difficult to save and manage money. If you’re not careful and respectful at work you could even end up without a job! The auspicious influence of Venus in your ascendant this month can easily overpower the negative effects mentioned above, so the key to success is humility, compassion, and service. Once the Sun enters Cancer we will be looking at a difficult combination caused by the mutual powers of the Sun, Mars, Rahu, and Ketu in the 6th/12th houses. This combination can cause conflicts and fights, but is more likely to make you do a lot of work and service over the next month for coworkers and superiors. Again, mind your manners in how you handle this or you could find yourself without a job! Venus will spend the month in Leo, where it can do a lot of good for your career if you take advantage of the opportunities presented and work in a compassionate and humble way. A potential downside of Venus in the ascendant is that it can make you lazy! It’s good to relax and take a break, and I encourage it during this transit, but don’t indulge yourself in pleasures and appetites! Venus can be a very worldly planet for Leos, so you need to be on guard or it will throw your morals and standards out the window in a heartbeat for the sake of pleasure. If a female friend visits you on a trip, or a new co-worker is attractive to you, practice self-restraint and be responsible. Another possible outcome of this transit is a new job opportunity, and such an opportunity would be worth pursuing as it is a gift from Lakshmi, the goddess of fortune. For those more spiritually oriented, the transit of Venus over Leo can work to open the heart and cultivate humility. It casts a strong aspect on the trines, the 5th and 9th houses, both of which deal with your personal principles and morals. The aspect of venus on them from Leo can help you re-evaluate your sense of self and how you use your energy for the good of others, sublimating the ego and developing compassion. Jupiter in Libra this month should be good for finances, contracts, and partnerships, since it favorably aspects the signs that influence these areas of life. The exaltation of Mars in Capricorn can be good for real-estate opportunities, working on the house, vocational skills, and getting further education in relation to your work. The ascendant lord Mercury is going to spend the month in a difficult position amongst malefic planets in the sign Cancer. This can cause a lot of stress and anxiety related to finances, and money may be taken from you due to the government, fees, and fines, or even criminal activity. The source of protection involves warding off the malefic influences of Rahu and Ketu, which can entail something as complicated as a puja to Rahu by a Brahmin to appease its energy, or can be as simple as wearing silver, taking care of dogs, and making offerings to Ganesh for protection. I recommend you at least wear some silver jewelry and volunteer your time or money to a dog kennel or adoption center for dogs, as this can ward off the negative influences of Rahu. Mars is exalted in Capricorn throughout the month, which is good for vocational schools and technical education. Some of the debts indicated above could simply be debts incurred by a financial institution for going to college or getting further education in some field related to work. Mars and Ketu would indicate engineering, machinery, or software engineering and design as the area of education, but real-estate can also be indicated by these two planets. My main issue with this transit is that Capricorn is an important sign for your personal principles and morals, but neither Mars or Ketu are particularly moral planets and can encourage you to pick up bad habits or hang around with negative people. In this context, if you are not careful with who you spend time with then you risk legal problems and arrest, or in the very least some hefty fines. Jupiter is moving retrograde through Libra until the 11th, and then it will resume its normal forward motion through Libra for the next 3 months until it reaches Scorpio again. While in Libra, Jupiter can give you promotions at work and help you reason with opponents or enemies who have put themselves in your way. Finances can improve under the influence of Jupiter, especially the finances of the family as a whole, and improvements can be made to your house or office as well. You need to be mindful of your diet, as Jupiter in Libra can cause blood sugar problems that can become more serious health issues later in life if not taken care of, so avoid too many desserts and sweet drinks, especially if you have already been having blood sugar issues. You may end up working with a family member on some business or going into business with a relative or spouse’s relative, and this can be beneficial. On a deeper level, what’s happening with this transit is that Jupiter wants you to examine your foundations, what makes you strong, and remind you that loved ones can be an important part of this foundation and a great source of strength for you. Venus is in Leo throughout the month, where it can encourage travel to see family members or trips that will influence your wealth. Expenditures on vehicles are likely, and obviously traveling can be quite costly as it is. For students, this can be a good time to enroll in new courses since Venus can indicate favorable debts for things such as higher education. As the lord of the 9th house casting its aspect on Saturn the lord of the 5th house, this is a good time for all educational endeavors. The ascendant lord Venus will be transiting through Leo, directing your energy towards improving your financial situation. There’s a lot of work ahead of you this month, but you have some good planets supporting it! Being in Leo, Venus will make it easy to focus on your financial situation and tackle it head-on, but Venus is not a very practical planet…..it needs support from other planets to bring things into fruition. Luckily it has this support from Mars and Saturn! It’s just a matter of putting these planets to work. Saturn can bring a strong, grounded energy to Venus, keeping it practical and focused on the work at hand. Saturn needs you to re-evaluate your skillset and hone in on the skills that matter most. It is not a planet for education or learning new skills. It is a planet of practice, and it is a solitary planet, meaning you need to focus on a solitary set of skills to support the fresh work endeavors that Venus can bring your way. Mars can lend its support to Venus as well, but Venus and Mars are often repelled by each other, usually for one simple reason: Venus likes pleasure and Mars likes work! You will have to make the Venus bow to Mars this month if you want to get any serious work done on improving your financial conditions in life. Mars is exalted right now, and there is plenty of help it can give you because it casts a full aspect on Venus by planetary sight. So how can you use Mars specifically? First off, Mars rules real-estate and land, and being exalted in the fourth house of Capricorn makes this an excellent time to work on getting an office space set up, or relocating an old space to a better area with better visibility. Secondly, Mars rules the 7th house of relationships and business partnerships, so finding a partner to work with can be of great benefit right now, especially if they have a pronounced martial energy (“go-get-’em” attitude and initiative) that can help overcome the Venusian need for comfort and safety. Wait until after the 11th to begin any serious work in this direction, as Jupiter will have ended its retrograde motion by then and be more primed to give its blessings on your endeavors (its an important planet for money!). Thirdly, Mars can give support in the form of financial help from family and close friends, so don’t be afraid to ask for help. Following along with this trend of work, let’s take a look at the sign of Cancer, a sign that rules work and career karmas in your chart. This month it is going to have a full house: the Sun, Mercury, and Rahu will all be occupying it, which comes with its blessings and its hardships. The good thing is that all of these planets form Raja Yogas (powerful combinations for success) when in your 10th house (Cancer/Kataka), which follows the general idea of you having a lot of energy to get things done this month. Mercury’s transit in Cancer is good for contracts, negotiations, and taking care of clerical work, though it also foreshadows some expenditures for the sake of your business. Rahu and the Sun both add a lot of energy to your chart this month, especially in the last half of July and the first half of August. The Sun would love to give you some clarity on how to increase your income, so some business planning is definitely in store for you. Rahu goes alongside Mars and just adds a lot of energy to this area of life for you. Now, these planetary combinations create energy that HAS TO BE USED! If they just sit in your chart without being directed and told to work, they will build up a lot of heat and be overwhelming, which will cause a lot of stress and anxiety. Put together, you have a great winow of opportunity to do some serious meaningful work this month and into next month as well. Scorpio is one of the few signs that have benefited from all the tension in the Capricorn/Cancer axis of the sky. The exalted Mars in the 3rd house of Capricorn gives a lot of energy to the chart and can lead to personal growth, improvements in health, success in your career, and victory over obstacles/enemies. The 3rd house is the “weapon” of the natal chart, and an exalted ascendant lord Mars gives you a sword to cut down just about anything you want, clearing the way for changes in our life by cutting through the “brush” that had obscured your view. Outside your personal situation though, it can be a difficult transit for siblings and family, especially due to the influence of Ketu on Mars, indicating stress amongst siblings or coworkers, or problems with friends. Ketu can actually “cut you off” from social circles, siblings, and coworkers, which isn’t necessarily a bad thing…..Ketu just allows you to conserve your energy and put that Mars to better use elsewhere. The three areas of life this Mars influences the most are obstacles, life views, and career. The first it just cuts through, getting rid of anyone who is keeping you from your potential. The second area of life (worldviews and philosophies) is undergoing pretty serious series of transits that we will talk about in a moment. The third area of life (career) benefits substantially from the aspect of Mars, giving you more work but also accordingly more money, and possibly a raise in there somewhere as well. Now the 9th house, which is the zodiac sign Cancer, deals with our worldviews, perspective on our karmas, religious beliefs, and personal principles. There are some important transits moving through this sign this month. The Sun, Mercury, and Rahu will all be stationed in Cancer by the 15th of the month, where they are fully aspected by your exalted ascendant lord Mars. Rahu has been here all year, where it has done some serious work in transforming your principles and beliefs about life to help you get more out of life. Mercury’s aspect here is good or education in esoteric/philosophical subjects and higher education as a whole, and may force you to get some extra education for your job, but it can also improve finances by a change or improvement in your work contract. When the Sun joins this Mercury/Rahu combo, it can help reshape the way you think about your destiny and what you want for yourself out of life. Your concepts about your future can evolve and transform. On a more mundane level, these aspects are good for finances but the association of the Sun with the 8th lord Mercury and Rahu can be stressful for your father and lead to a bad situation with relatives, possibly making you travel to help with the problem. Jupiter is in Libra for the month, where it will be moving backward in retrograde motion until the 11th. While it is still moving backward your expenditures may be a little high, but once it gets moving forward again after the 11th your financial situation will improve, and continue to do so for much of the next year as Jupiter works its way into your ascendant Scorpio. International travel with family is possible in the next three months while Jupiter still occupies Libra, and you may have to make other family-related travels depending how some of the issues spoken of above end up affecting you. Some minor expenses on your house and health are likely (which can just include simple things like supplements, sheets, blinds, etc). Saturn is sitting in the 2nd house, where it has been for the last two years. Its influence on the Sun at the beginning of the month is a little troublesome as it can cause problems with family (again, indicating the father due to the Sun) as well as causing exhaustion from lots of work taking a toll on the adrenals, so eat well and get plenty of sleep. Saturn’s influence leads to a simple and frugal way of life that is good for personal development and cultivation. It shows you what you can live with, and what you can definitely live without. The aspect of Venus on it this month is good for opening the heart and spending more time with a loved one. A retrograde Saturn sitting on top of Sagittarius has made things feel stagnant, and likely obscured your sense of clarity about your life and goals. This is all to be expected from such a powerful planet, but you have to be able to use this energy at a higher level. Saturn wants to be a powerful force for maturation and personal growth, but people’s fear of themselves and laziness about changing their lives often results in Saturn simply being a force of destruction and stagnation. Instead of following the path of least resistance, make a definite decision to put this energy to good use by maturing your thoughts about your self. This may be as simple as losing some weight and changing the way you dress to give you a more positive image, or it could have more psychological undertones that require a radical transformation in how you view yourself as a person. Saturn rules the 2nd and 3rd houses of your chart, which means that it wants you to ask yourself two questions: 1) what are my strengths? and 2) what are my skills? Saturn wants to make you a strong and independent person, but in order to do that you will need to develop new strengths and supports in your life, and may have to develop a new skill set that makes it easier to succeed in the world. The exalted Mars in Capricorn can stir up a lot of family karmas, but can also make excellent opportunities for increasing your personal wealth and finances. This may not have come to fruition yet, but after the 11th Jupiter will stop being retrograde and resume its usual motion in Libra, which when considered alongside the exalted Mars can allow for some serious improvements in income and finances. The influence of Mars can make pregnancy possible during this time, especially once Jupiter resumes normal motion on the 11th and begins to cast a favorable aspect on the 5th house of childbearing (Aries). The 8th house of Cancer is very active this month, with additional energy given to it by the exalted Mars, so let’s take a look at how this can play out for you. The sign of Cancer influences health and longevity, not just of your body but of any endeavor you undertake. Mercury and Rahu here can cause a good amount of stress on the nervous system because they both kick up a lot of “wind” or “vayu”, an element in ayurvedic medicine that disrupts digestion and agitates the mind/nerves. This will be made more difficult by the transit of the Sun into Cancer on the 15th, after which you will need to be careful in managing your stress levels, taking care of your diet and lifestyle. To help remedy some of these health concerns for you personally, I would recommend taking advantage of Venus in the 9th house by going a little vacation or taking a week off of work to just relax and de-stress. Speaking of Venus, this is one of the best transits happening this month, but it could get obscured if the above-mentioned issues with the 8th house become too much of a problem. Venus in Leo can be very relaxing and is good for spiritual practitioners who want to engage in more serious practice or attend a retreat. Engaging this planet can help offset some of the health issues mentioned above, so I really recommend you find a chance to relax. The intensity of the Sun’s energy during Summer can already be difficult for the body to handle, to overworking yourself and stressing out over financial issues will just make matters worse. Spend good time with a loved one, and/or do some meditation and enjoy a personal reprieve or a week or two. I would recommend waiting until after the 15th to do this, and that way you’ll be safe during the more difficult part of the transit. Some intense things going on in Capricorn this month! Already throughout 2018 you have had the Rahu/Ketu axis sitting right on Capricorn, which challenges your beliefs about who you are and what you are here to do, as well as transforms your ideas about relationships. Now an exalted Mars has joined this combination, adding a ton of fuel for this personal transformation. The problem? Mars isn’t always a great planet for Capricorn. For one, it indicates a lot of work and stress on the body, and you need to be mindful to not overwork yourself. The exalted Mars may make you feel like you can do anything, but the presence of Ketu alongside it means there is a limit to what your body will handle. On the other hand, the extra energy in your ascendant can put the focus too much on you and not enough on your significant other, causing problems and stress in the relationship. On a more mundane level, this is a good window of time to change your finances, and if you are looking for investments then it is an excellent transit to get some real-estate in. To continue in the same trend about health and overtaxing your body, there is a worrisome transit of the Sun into Cancer come the middle of the month, and this causes a difficult sarpa yoga. A sarpa yoga is a “restricting” combination that can do some pretty serious damage. The areas afflicted are going to be those indicated by the planets involved and the parts of the chart the combination occurs in. In your case, this means physical health, relationship, siblings, and your father can all be afflicted by this combination. Traditional remedies would include puja of Ganesh, chanting Hanuman Chalisa, wearing silver, and taking care of dogs. I would recommend at least wearing some silver and maybe volunteering some time or money to a dog shelter or kennel. Several signs will experience this difficult sarpa yoga, but Capricorn probably gets it the hardest, hence why I’m recommending remedies. Jupiter is still moving retrograde into Libra until the 11th of the month. Overall, this is a good transit that can bring increased finances and good business opportunities your way. In the last month or so, some old opportunities may have risen back up, and if the opportunity still presents itself after the 11th you should try to follow it through. Jupiter rules your ambition and imagination, and in Libra it can be a powerful tool for inspiration and reaching your goals in your career and work. This retrograde back into Libra over the last few months has given you a final chance to take advantage of the visionary power that Jupiter can give you, before turning your ideas and goals into tangible income when Jupiter enters Scorpio in a few months. If you lay the groundwork and set your goals now, then when Jupiter enters Scorpio you can be looking at a great year for financial success. The Sun is in Gemini at the beginning of the month, opposite Saturn in Sagittarius. This can be a stressful combination as it leads to a lot of menial work and labor, but on a positive note it can be very good for your physical health as an impetus to get in shape and make some health choices before the stress of the Sun in Cancer combination mentioned above strikes in the middle of the month. On the 15th, the Sun leaves Gemini and enters into a sarpa yoga alongside Rahu, Ketu, and an exalted Mars., the details of which have been mentioned above. Now despite the physical stress indicated by these transits, you can actually turn that physical activity toward exercise and health, using the energies of the Sun to restore balance to the body instead of destroying the body. There are some strong combinations influencing your chart this month. The first thing that sticks out is that Jupiter, an important planet for wealth for you, is in a decent place to elevate you and increase finances by raising your status in the eyes of a superior or manager. Until the 11th Jupiter will be retrograde, which may make you a little slack on your principles and morals, but once Jupiter resumes its forward motion it not only gives financial help but also helps to refine your character. For those spiritually inclined, the teacher may be distant due to the retrograde motion, but after the 11th the guidance of the teacher can resume and progress on the path will be easier to sustain. You may also end up spending time with your father, or taking a trip to see family. The financial blessings of Jupiter are supported by the ascendant lord Saturn being placed well for finances, but it too is retrograde and may not give its full blessings in this regards until it comes out of retrograde later this year. Mercury, the Sun, and Rahu are all placed in Cancer, where they will cause a lot of work and service on your part. Situations at your job may change so that you have to work considerably more than usual, and the aspect of Mercury on this could also indicate additional education is required on top of the increased workload. The aspect of Jupiter means that so long as you keep your principles intact and work well, you will be elevated in position and rewarded for your work efforts. The father’s health can be afflicted by this combination. Venus is in Leo throughout the month, where it triggers a powerful combination called a “raja yoga” that is capable of giving you wealth, health, and success. The influence of this combination is felt throughout the whole chart, and particularly helps those looking for a new place to live or who want to get a new vehicle. It also supports those who are looking for a new business partner, and can even help with personal romance. Venus is an important planet for your happiness and peace of mind, and its support on your ascendant lord Saturn can not only do this but also improve physical health. In fact, I would say that this is a particularly powerful benefit of this transit this month. The direct aspect of Venus on both the ascendant and its lord Saturn can improve health substantially, making this a good time to focus on your diet and fitness. It can also bring a healthy relationship into your life. The influence of Mars in the chart is interesting this month, and will continue to be an intriguing transit for the next few months as Mars moves deeper into its exaltation in Capricorn. The exalted Mars supports the above-mentioned increases in finances and work, but will also likely include incurring some debt for the sake of new professional opportunities. Mars is a technical planet, so this debt could be something as simple as new tools and machines needed for your work, or could be something more along the lines of a vocational school and further education. Either way, the exalted nature of the planet means this debt is for the sake of moving forward in life professionally. I still have some concerns for physical health until the 11th, since the ascendant lord Jupiter will be retrograde in a sign of sickness and disease until then, but such health concerns will begin to dissipate once Jupiter resumes its regular motion after the 11th. There is likely still stagnancy at work and in career due to the aspect of Saturn, and you may literally feel that your career is “moving backward” alongside Saturn for now, especially since the full aspect of the Sun means you’ll be working hard for the first two weeks of July. The main problem is that you are being overworked, and this may continue for another month as Venus and the Sun add to your workload and make you feel overwhelmed. The most important piece of advice here is to NOT make major life decisions this month just because you are feeling stressed, tired, and overwhelmed. Mercury, an important planet for you when it comes to major life decisions, is afflicted by the malefic planet Rahu, and will obstruct your mental clarity. In fact, it’s just hard to think the right way about things when you’re tired and too busy to really take the time to think about it. In another month your ascendant Lord Jupiter will be in a better place, you’ll feel happier and stronger with more clarity, and then you can make any important life decisions you need to make. The increased workload can, of course, give better finances, and the exalted Mars in Capricorn still supports this, though not as strongly as in previous months due to its retrograde motion. You may have to work harder for the same amount of money, or take extra shifts without receiving overtime pay. Once Jupiter resumes its normal motion on the 11th this should clear up more, and finances may continue to increase over the next few months. On the 15th the Sun will leave Gemini and enter into Cancer, where it adds to an already difficult combination of planets. This can cause stress and problems with children or employees, and create a sense of feeling overwhelmed by problems. If you take advantage of the power of the Sun, then through service and hard work you can work through these issues. You may need to engage in service for your children or employees in order to restore harmony and peace. Overall this is still a difficult month. Saturn is good for work, but its retrograde motion will cause stagnancy in this area of life. Jupiter is troublesome for health until the 11th, at which point it should begin to clear up. Venus can agitate some health issues and relationships problems, and also make you have to do a lot of work for other co-workers or friends, or make you have to travel for work. Mercury and the Sun can be beneficial for getting extra education this month, or signing up for school or some kind of vocational education, but they still cause stress and a feeling of being overwhelmed. Next month will start to see a lot of improvements, and once Jupiter gets out of Libra and back into Scorpio it will begin to advance you in life and you will feel like you’re making progress again.